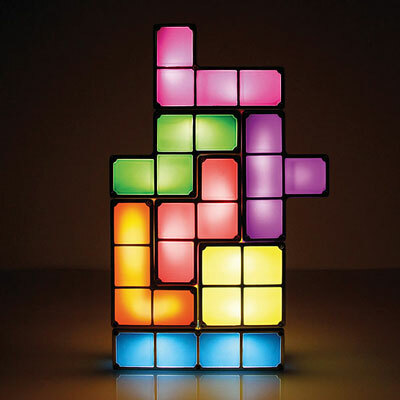 (Nanowerk News) Tetris piece shaped lamps that you can stack. Of course, you're going to have to be sure to stack them non-optimally. If you make a straight line, sure, you'll get points, but then your lamp will disappear! Hang on, let us double check that... Oh, phew! It has just come to our attention that when you stack these lamps they do not disappear like in the actual game. Please, forgive us, we figured it was just common knowledge that a Stackable Tetris LED Desk Lamp would actually mimic the game. These Tetris blocks light up when they're stacked together. It seems that there is no science capable of making teleporting light fixtures a thing.